For the first time, scientists have observed ripples in the fabric of space-time called gravitational waves, arriving at the earth from a cataclysmic event in the distant universe. This confirms a major prediction of Albert Einstein’s 1915 general theory of relativity and opens an unprecedented new window onto the cosmos. The Advanced LIGO project, which has made the discovery, involves nearly 1,000 scientists from 16 countries, including mathematicians from the University of Southampton, working with scientists from eight other UK universities. The gravitational waves were detected on 14 September, 2015 at 5:51 a.m. Eastern Daylight Time (9:51 a.m. GMT) by both of the twin Laser Interferometer Gravitational-wave Observatory (LIGO) detectors, in the states of Louisiana and Washington, USA. The waves originated from two black holes, each around 30 times the mass of the Sun and located more than 1.3 billion light years from Earth. Physicists have concluded that these waves were produced during the final fraction of a second of the merger of two black holes to produce a single, more massive spinning black hole. 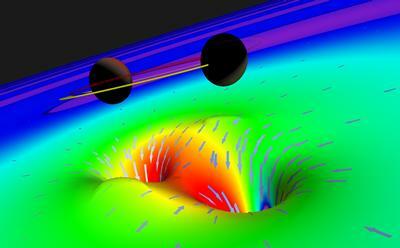 This collision of two black holes had been predicted, but never observed. The LIGO Observatories are funded by the National Science Foundation (NSF), and were conceived, built, and are operated by California Institute of Technology (Caltech) and Massachusetts Institute of Technology (MIT), USA. The discovery, accepted for publication in the journal Physical Review Letters, was made by the LIGO Scientific Collaboration (which includes the GEO Collaboration and the Australian Consortium for Interferometric Gravitational Astronomy) and the Virgo Collaboration using data from the two LIGO detectors. 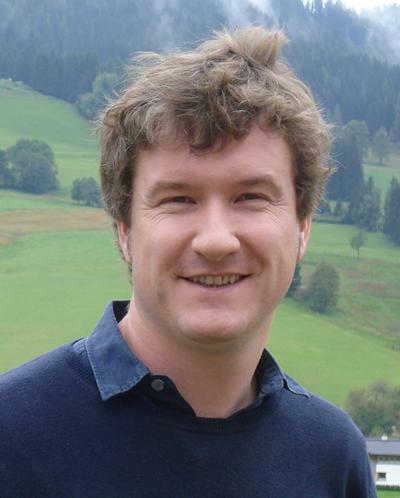 Dr Ian Jones, a mathematician at the University of Southampton, has spent 13 years working on the international gravitational wave detection project, providing colleagues with models for what the gravitational wave signals from small dense stars, known as neutron stars, might look like, and advising how best to search for these signals amongst other ‘noisy’ data. He comments: “When I was first shown the black hole signal in the data I could barely believe what I was seeing. I have been working in the field of gravitational wave astronomy for many years, and it felt as if we had been discussing this sort of signal for a very long time. To actually be able to see, by eye, the signal in the data, with all its characteristic features, was amazing. “This makes me even more excited about the prospect of detecting gravitational waves from neutron stars, which forms the focus of my own area of research relating to LIGO, and that of many of my colleagues here in Mathematical Sciences. While black hole observations help us test physics at the extremes of strong gravity, neutron stars help us test physics at the extremes of high density, and could show us what happens when Nature packs the mass of the Sun into a ball the size of a city." The Minister for Universities and Science, Jo Johnson MP, comments: “Einstein’s theories from over a century ago are still helping us to understand our universe. Now that we have the technological capability to test his theories with the LIGO detectors, his scientific brilliance becomes all the more apparent. The Government is increasing support for international research collaborations, and these scientists from across the UK have played a vital part in this discovery." Gravitational waves carry unique information about the origins of our Universe and studying them is expected to provide important insights into the evolution of stars, supernovae, gamma-ray bursts, neutron stars and black holes. However, they interact very weakly with particles and require incredibly sensitive equipment to detect. British and German teams, working with US, Australian, Italian and French colleagues, are using a technique called laser interferometry. Each LIGO site comprises of two tubes, each four kilometres long, arranged in an L-shape. A laser is beamed down each tube to very precisely monitor the distance between mirrors at each end. According to Einstein’s theory, the distance between the mirrors will change by a tiny amount when a gravitational wave passes by the detector. A change in the lengths of the arms of close to 10-19 metres (just one-ten-thousandth the diameter of a proton) can be detected. Independent and widely separated observatories are necessary to verify the direction of the event causing the gravitational waves, and also to determine that the signals come from space and are not from some other local phenomenon. To ensure absolute accuracy, the LIGO consortium spent several months carefully checking and re-checking the data. The discovery was made possible by the enhanced capabilities of Advanced LIGO, a major upgrade that increases the sensitivity of the instruments compared to the first generation LIGO detectors, enabling a large increase in the volume of the universe probed—and the discovery of gravitational waves during its first observation run. The US National Science Foundation leads in financial support for Advanced LIGO. Funding organisations in Germany (Max Planck Society), the UK (Science and Technology Facilities Council, STFC) and Australia (Australian Research Council) also have made significant commitments to the project. 1) LIGO was originally proposed as a means of detecting these gravitational waves in the 1980s by Rainer Weiss, professor of physics, emeritus, from MIT; Kip Thorne, Caltech’s Richard P. Feynman Professor of Theoretical Physics, emeritus; and Ronald Drever, professor of physics, emeritus, also from Caltech. 2) Contributing universities to the project in the UK include; The Institute for Gravitational Research at the University of Glasgow, University of Birmingham, Cardiff University’s School of Physics and Astronomy, University of Strathclyde, University of Sheffield, University of the West of Scotland, University of Edinburgh, Cambridge University and the University of Southampton. 3) LIGO research is carried out by the LIGO Scientific Collaboration (LSC), a group of more than 1,000 scientists from universities around the United States and in 14 other countries. More than 90 universities and research institutes in the LSC develop detector technology and analyse data; approximately 250 students are strong contributing members of the collaboration. The LSC detector network includes the LIGO interferometers and the GEO600 detector. The GEO team includes scientists at the Max Planck Institute for Gravitational Physics (Albert Einstein Institute, AEI), Leibniz Universität Hannover, along with partners at the University of Glasgow, Cardiff University, the University of Birmingham, other universities in the United Kingdom, and the University of the Balearic Islands in Spain.